The San Diego County Board of Supervisors voted Tuesday to file a lawsuit against the Trump administration over the asylum policy in San Diego. 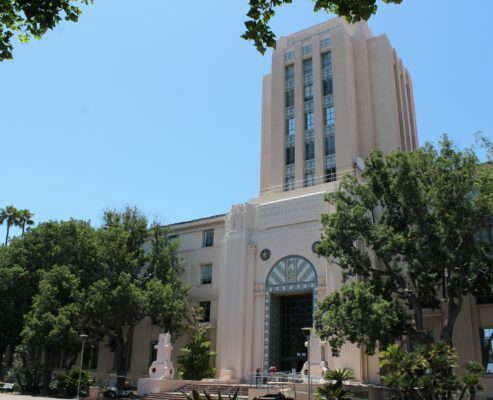 SAN DIEGO–In a closed-door session Tuesday, the San San Diego County Board of Supervisors voted to file a lawsuit against the Trump administration for releasing asylum-seeking families into the San Diego county community. In a released statement, Supervisor Kristin Gaspar condemned the decision to sue the federal government over the asylum policy. Board of Supervisors Chairman Dianne Jacob defended the lawsuit in a released statement. Supervisor Nathan Fletcher explained why he supports the lawsuit against the federal government. On January 29, the County Board of Supervisors voted to lease its vacant former Family Court building downtown to Jewish Family Service so it can serve as a temporary shelter for asylum-seeking migrants.